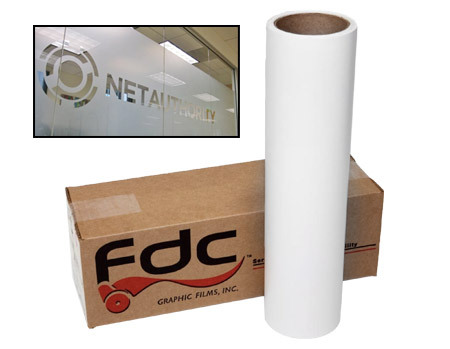 FDC series 3500 Intermediate Etched Glass Vinyl Film – This is a cast vinyl film that replicates a frosted-etched glass look. 3500 is ideal for entrance logos and P.O.P. advertising when a different or classic look is needed. Glass and mirrors are also a great use because of the crystal clear adhesive. To order punched material, use part number 3550.